Scientists have incredibly advanced tools to look at the stars today, but in the era before light pollution, star-gazing was much easier and simpler for the average person—just step outside at night. Pretty early on, and in a variety of cultures, people realized that they could chart the stars and their movements for navigation. The Greek constellations, which were tied to their myths, illustrate how this information moved through time. But humanity’s early star maps are much more than ancient artifacts—they became part of our history and culture, and continue to inform modern science to a surprising degree. 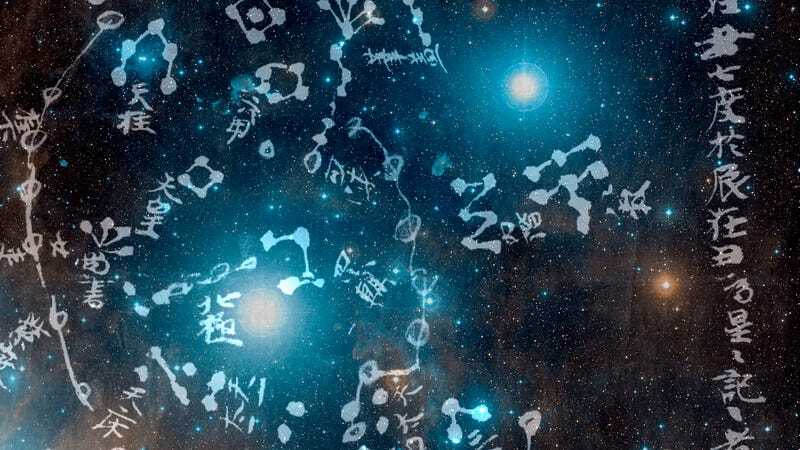 The first complete star map that still exists today was made in 650 A.D. in Dunhuang, western China, a city on the Silk Road. There, a star atlas was meticulously drawn onto a piece of paper, then filed away with other documents in a temple alcove. The space was sealed off at some point, and wasn’t re-discovered until 1907, when a Taoist monk, the self-appointed guardian of the temple, accidentally crashed through a wall to find the hidden cache, which contained sculptures, piles of documents, and the now-famous star map. Lee is an expert on ancient star maps who has given several presentations on them at U.C. Berkeley over the past few months. The history of star maps matters to him personally, because even today, maps of the cosmos help guide his research. “Mapping out what we can observe…is one way of inferring some of the fundamental parameters of the universe,” Lee said. A good example of how this works is the recent Dark Energy Survey, which used information about the shapes and distribution of galaxies to “infer the density of gravitational matter in the Universe—one of the fundamental parameters of the Universe,” Lee said. That Survey’s results were also a test of Einstein’s theory of general relativity. 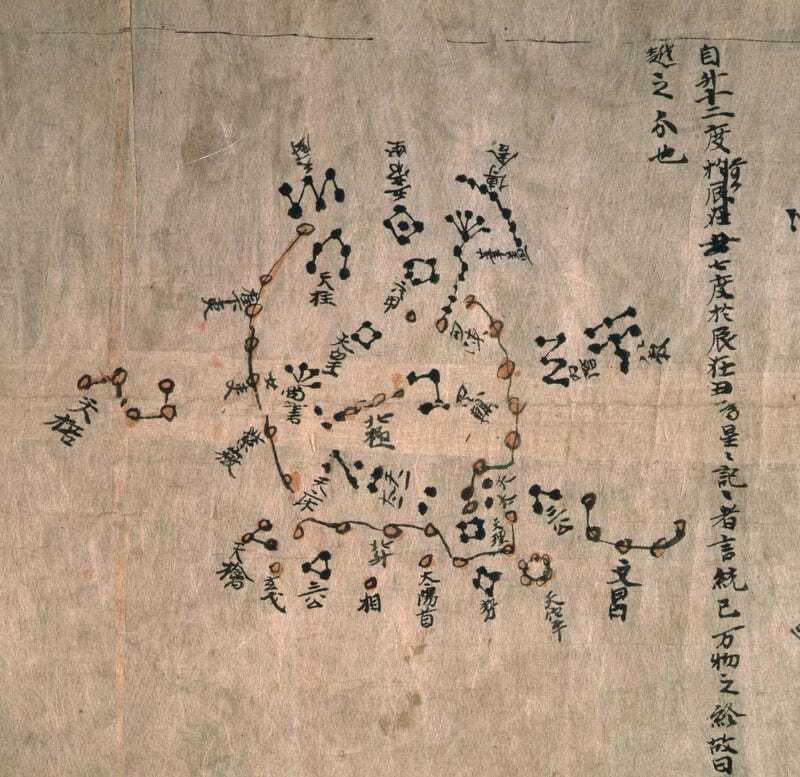 Following the Dunhuang map, there wasn’t another more complete star map for hundreds of years (at least, none that have been discovered yet). All civilizations were limited by technology—they could record what was observed by the naked eye, like the brightest stars and planets. For almost a thousand years, that limitation halted a further understanding of the cosmos. To get more detailed information, humans needed a better eye. When the first telescopes were developed in The Netherlands in the early 1600s, amateurs and experts alike were excited to try them, even though they only had weak magnifications of 3X or 4X. From Galileo’s early models, to Newton’s, to the 1500-foot-long model designed by Johannes Hevelius, astronomers of the 16th and 17th centuries were limited by the quality of the glass needed to make more powerful telescopes. Not much more could be learned about the stars until higher magnifications were achieved. In late 1770s, German/Czech/Jewish musician William Herschel turned to designing telescopes. After some failures, he developed a powerful enough ‘scope to make brand-new observations, and immediately began a systematic search and recording of the night sky above Bath, England. In 1781, he was able to discern that Uranus wasn’t another star, but a planet. Following that discovery, he was appointed Court Astronomer by the British king, George III, and paid to study the stars full time. 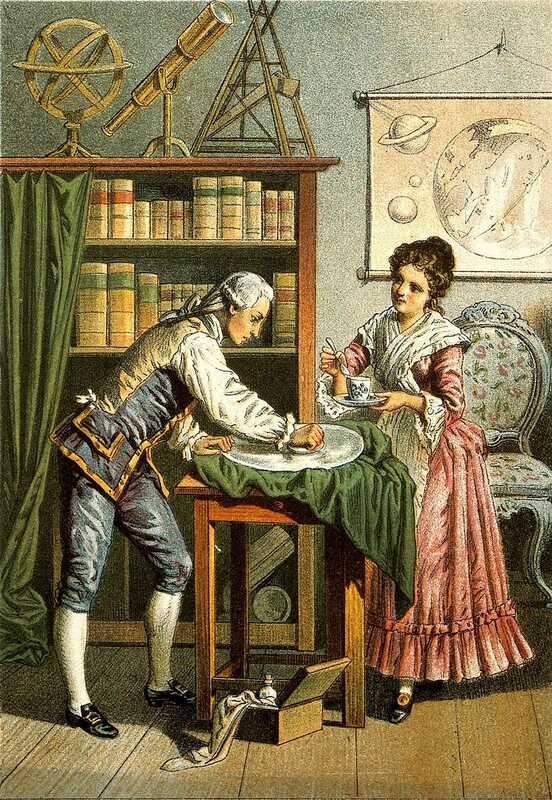 His sister Caroline Herschel, who started her career in astronomy by recording her brother’s observations, soon moved on to making her own when she got her own telescope. Her observations on comets became widely published, and she was also employed by the Crown, the first woman in British history to be recognized in this way. Putting their observations together, William and Caroline Herschel publishedOn the Construction of the Heavens in 1785, which painted a basic picture of The Milky Way. “The Herschels were the first people to systematically chart the heavens. “From my perspective as a modern cosmologist, it’s the earliest echo of what I do—charting out and analyzing the positions of objects in the sky, then inferring the properties of the universe through the process,” said Lee. In the 1800s, humanity’s understanding of the universe exploded thanks to several key advances, which improved star mapping by revealing the distances between and relative movement of stars (not just their fixed location at a given time of observation). Going from knowing where a star is to knowing how it behaves over time is the cosmological difference between a two-dimensional representation of the Universe and a three-dimensional one. The first advance came in 1838, when the Astronomical Distance Scale was established, using the breakthrough parallax method developed by Friedrich Bessel—this meant that distances between stars and other objects could be measured much more accurately. Then, in the 1850s and 1860s, the development of astronomical spectroscopy (analyzing starlight by wavelength) allowed astronomers to access even more information. Lee calls it the “key to astrophysics,” since now observers could learn about the spin, magnetic fields, composition, and relative motion of stars. Together, the distance scale and spectroscopy gave scientists the ability to make a star map with much greater detail and three-dimensional perspective: “We were no longer confined to plotting two-dimensional positions on the ‘celestial sphere,’” says Lee. 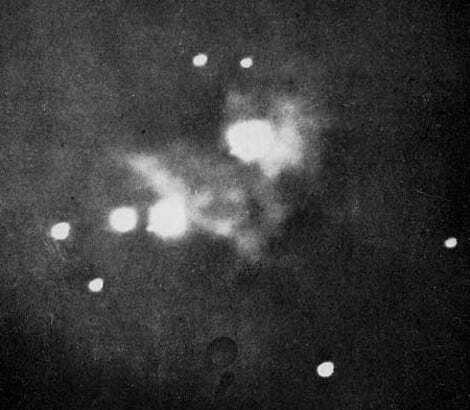 In the late 1800s, astrophotography advanced the field yet again. 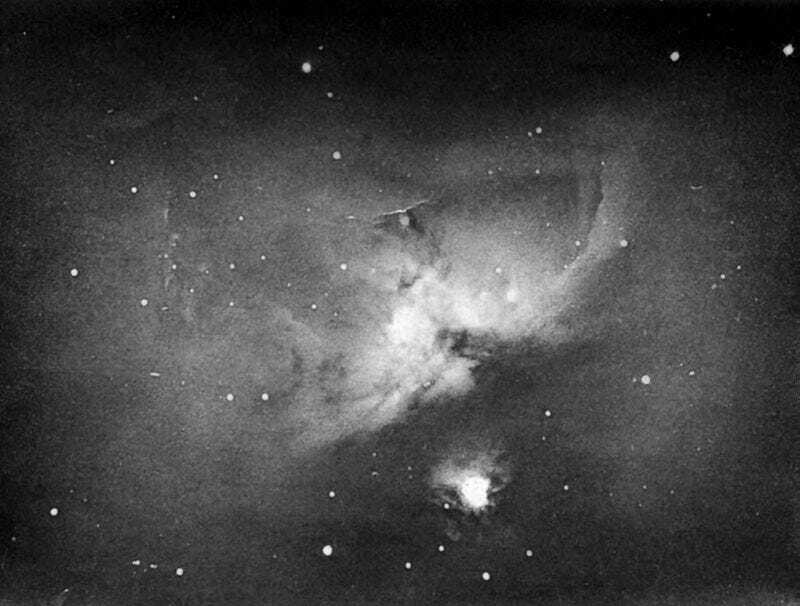 No longer were humans reliant on what could be observed with the eye and a telescope: astrophotography can reveal nebulae, galaxies, and dimmer stars using a longer exposure time for the film in a camera. Direct recordings were now possible: “…where before we had to manually write down the positions of objects and sketch their appearance by hand,” said Lee. Just a few years later, in 1923, American Cosmologist Edwin Hubble calculated the location of the Andromeda galaxy using astrophotography. “Hubble could not have discovered the Cepheid variable ‘standard candle’ stars in the Andromeda galaxy if he wasn’t able to photograph it and record the exact position and brightness of the stars in that galaxy at different times,” says Lee. This measurement allowed him to prove that Andromeda was outside our galaxy and settled the question—there were more galaxies than our own (probably trillions, we know now) as Curtis has argued. But Shapely was correct about the placement of the sun in the outer arms of the Milky Way. The photographic plates from Hubble’s astrophotography make a whole new kind of map—one made from photographs representing a three-dimensional universe. Shortly after that, advances in photography and electronics set humanity up to double our knowledge of the known universe—and expand ideas of the universe itself. “Electronic detectors are a critical part of what’s been possible in modern times, providing the quantum leap to get to where we are now” Lee said. In the 1940s and 1950s, scientists sat inside giant telescopes taking photographic plates each night of star movements—it took years to gather a data set. Electronic detectors are much, much faster. Lee cites the “CfA stickman” map as a good example of the new type of star map (or now, galaxy map) that came out of the mid-late 20th century data from electronic detectors. Published in 1986, by Valerie de Lapparent, Margaret Gellerit, and John Huschra, it was the first real evidence for the cosmic web. (It got the “stickman” moniker from the anthropomorphic cluster of stars at its center.) It includes thousands of galaxies and was the precursor to other important maps like the Great Wall, from 1989. A geologist in her first career, Starre is now freelance science writer—but she still picks up rocks wherever she goes.